“This is goin’ straight to the pool room! Sometimes in my reading, I come across books that strike a deeper chord in me than a simple 5-star-review can express. I mean, there are 5-star-reads and there are 5-STAR-READS, right? So, here in my virtual pool room, you can find my all-time favourite reads across a wide range of genres. This page will be updated whenever I send a book or series ‘straight to the pool room’. Shadow of the Storm firmly cemented Connilyn Cossette as a must-read author for me. Not only does she write with beautiful expression, but Shira’s story engaged my heart so thoroughly that I did not want to put it down once I had started; and if that wasn’t enough, it also opened my eyes to a whole new understanding of what life may have been like for those who left Egypt in the Exodus. You can read my full review here. You’ve heard the saying ‘Got me in the feels’? Well, this story got me in just about every ‘feel’ I’ve got! My heart alternately ached and swelled, my pulse pounded, my eyes leaked, my soul smiled, and I actually put the book down for half a day when I was about 90% of the way through because I didn’t want it to be over yet. Don’t let the cover fool you – this isn’t a sunshine and rainbows kind of story – but it is full of hope, and oh! is it rewarding! Read my full review here. This is the kind of novel for which you clear the calendar. Seriously. Even if you don’t aspire to sit down and read the book from start to finish in one sitting, take care of any potential distractions before you open its pages so that you can give yourself over totally to basking in the imagery, the ambiance, and the emotions of the story for however long you are able to indulge at one time. Yes. This book is THAT good! I’m not sure how it’s possible to combine such soul-piercing agony, and such heart-swelling beauty in one novel, but that is exactly what Jennifer Rodewald has done in Red Rose Bouquet. It seems trite to try and put my feelings into words – ‘squeezing words out of feelings’ is how a friend recently phrased it – but hopefully this review will in some way convey the magnitude of deeply reverent ‘wow’ I feel for this story. Read the full review here. If you have contemporary romances pegged as ‘light fiction’ (a label that is not wholly unwarranted) you will want to make an exception for this book. It is well-written, authentic, and provides a breadth and depth of emotional experience that is rare in this genre. You can read my full review here. This was an immensely satisfying read. Immensely satisfying. It’s the kind of book that leaves you basking in the afterglow (or perhaps the lingering finish) of a well-earned peace and quiet joy. If I was a wine connoisseur, no doubt I could come up with all kinds of appropriate wine-related adjectives to describe the way this novel tasted on my emotional palette: rich, full-bodied, complex but balanced. But however you describe it, this novel has a finish to savour. Read my full review here. Beautiful, beautiful, beautiful! I cannot use that word enough times to express how truly beautiful this story is. It sinks deep into your soul and warms you from the inside out, even when Suzanna has her ‘pickle’ attitude on! And boy can she be a pickle! 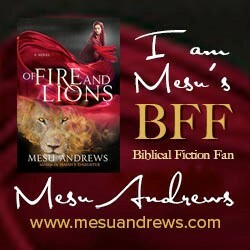 It’s beautifully written, beautifully paced, and tells a beautiful story of how God can restore the broken and desolate. Oh, and did I mention it’s beautiful? 😊 Read my full review here. Very rarely do I come across a book that brands my soul as deeply as this one did. The Feathered Bone explores themes like light and darkness, freedom and captivity through the story of Sarah, a twelve year old girl who disappears while on a school excursion, and Amanda, the mother of Sarah’s best friend and one of the parents supervising the excursion. This was not a light read, and it touches on some unpleasant realities of our world, but I was richly rewarded for having taken the journey. Read my full review here. This is one of the most stunningly beautiful novels I have ever had the privilege to read, and yet I also found it one of the most tragic. For many years Augustine of Hippo had a ‘mistress’ – a woman he dearly loved but could not marry due to the laws at the time regarding marriage between the social classes. So she became his common-law wife and the mother of his child. Augustine never names her, but his Confessions tell us she was the only woman he ever loved. This is her story. You can read my full review here. Fort William Henry, New York frontier, 1757. Twins are born to a white Oneida woman – one white, one brown. When Major Reginald Aubrey’s newborn son dies in the arms of his sleeping wife, he makes a decision born of desperation; one that will haunt two families for the next twenty years. This is a remarkable story of the burden of guilt, the power of forgiveness, and the beauty God can weave from our brokenness. Click on the image to learn more. Some novels leave you feeling so full you don’t have room for your own words. That was the overwhelming feeling I had when I finished this novel. Geesje’s story will stay with you once you have read it. It will leave an impression on your heart and become part of the ‘experience’ you draw on as you navigate the waters of your own life, through the calm and the storm. It is full of wisdom gained through some of the most difficult experiences and decisions life can throw at you and, to be perfectly honest, is one of the most inspiring stories of faith I have ever read – fiction or not. Read my full review here. This novel was absolutely magical! No doubt Wren Lockhart would take exception to my use of that word—she does illusions, not magic—but there really is no better word to describe the spell it wove over me as I sank into the world Kristy Cambron brought to life in its pages. The Illusionist’s Apprentice is a novel of suspense, revenge, heartache, love, and moments of breathtaking poignancy, and now I’m grasping for some way to do it justice in a review! Read my full review here. I find myself at a loss for words when I have to review one of Lori Benton’s books. How do you do justice to a story that is at once exquisitely heartrending and powerfully inspiring in a few brief paragraphs? Impossible. And yet here I am, trying to do just that. It will probably require a number of repetitions of the word ‘exquisite’, so I apologise for that in advance, but it is the word that repeatedly comes to mind. Exquisite writing, exquisite pain, and yet exquisite beauty in and through that pain. Read my full review here. This book is so much more than just a romance. I actually think it should be called a ‘love story’, because when Brice Myerston offered marriage to Rowena Kinnaird in order to protect her, he committed to loving his wife by his actions and trusted that his heart would catch up. But the plot is actually much more complex than this; a rich layering of circumstances that threaten their physical safety and test and refine their commitment to love and trust one another. Read my full review here. Max Jacobs is one of the most intense characters I have ever encountered. Raw, broken, and angry. So angry. When I first picked up Nightshade about three years ago, I didn’t know what had hit me. I had never read such powerful, hit-you-in-the-face (sometimes literally!) characterization. I had never encountered so much testosterone—and still haven’t! And I’d never read another story that so totally captivated every sense and emotion the way this story did, or had me so close to the edge of my seat. Read my full review here. This fantastic series has a deceptively simple premise: Traditional Bibles are now illegal in the United States, as is being a Christian. If you are caught you will be arrested and held for re-education until you renounce your beliefs. Click on the image to learn more. I’ve actually read this book twice now, because the first time I read it, it rendered me speechless. The characters reeled me in quietly, chapter by chapter, and then—BAM!—took me in a direction that was totally unexpected and one of the most gripping dilemmas I’ve ever come across. I couldn’t put the book down until I was finished, and even then I’m pretty sure I just sat there like a deer in headlights, unable to remove myself from the world of the story or even form a coherent thought. I simply felt. This is a stunning and thought-provoking story of life and death, the gift of love, the burden of sin, and the rest we can find in Christ. Read my full review here. THIS. BOOK. IS. EPIC! I have been a fan of Ronie Kendig’s novels since the first one I picked up, but she has really hit her stride with Conspiracy of Silence. In all of my wiiiiide reading experience, I have not read another novel or series that combines the elements you will find here: Black ops military action, archaeology, medieval history, politics, bioterrorism, genuine Biblical history, a hint of the supernatural, and the inevitable tangle of human emotions that get caught up in the mix. And it’s all written in Ronie Kendig’s fantasic, high-impact, über-engaging style. Read my full review here. I’m not sure what I can say about Ronie Kendig or her books that I haven’t said already. Some writers are great with the high-stakes action, others are great at delving into their characters and really getting to the heart of what makes them tick, but I have never come across an author who combines the two as well as Ronie Kendig. And with Tox–no, I’ll follow Haven’s example and call him Cole–with Cole, the emotional stakes are as confronting as the physical stakes. Because there’s a fine line between confronting evil and becoming it. And if Alec isn’t redeemable, then neither is he. Read my full review here. Thanks for posting this, there are some good books recommended. Now I need to add the ones I haven’t read to my list! Never, ever enough time to read like I would love to be able to read! I always love to see what others are reading, especially when I find some gems I’ve not seen before! Only read two of these, The Reluctant Duchess and The Confessions of X. I liked the latter better, very good exploration of the times, and the life of St Augustine. If you like the ‘Dark Ages’/Early Medieval period, I cannot recommend the Northumbrian Thrones Trilogy by Edoardo Albert Highly enough. Epic historical fiction involving the early Warrior Kings the first great Christian Saxon Kingdom. Have I recommended before? Apologies. The Haven Seekers seems like a great read. I did a skit/activity with my youth group once based on the U.S. government taking Bibles away and Christian persecution. It is coming to America and what persecution we endure now is nothing compared to what is to come.